"The pain which is to come can and should be avoided"
The rishis (the ancient sages and seers of India) discovered that high-quality gems of not less than two carats, worn touching the skin, can be most effective in counteracting negative planetary influences and lessening karmic burdens. The equilibrating power comes from their strong magnetic radiation which is in harmony with the tones of emanating cosmic energy via the planets, creating a counter-balancing or harmonizing capacity. By way of analogy, specific gems and metals can be thought of as a shield, absorbing and counteracting the disturbing and potentially destructive planetary rays falling on the body and mind. Found in Matruvani volume 26 from the words of the great saint. 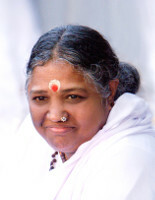 Mata Amritananda Mayi also well known as Amma. Our auras will change according to our actions. Bad actions - those that hurt others - will darken our aura and create obstacles to receiving divine grace. If we light a lamp inside a glass cage. The smoke will blacken the glass. Hence even if it is daylight, sunlight will not permeate inside. Likewise, even if there is light inside, it will not be seen outside. The case of the aura darkening as a result of bad actions is similar. It is an impediment to receiving grace. Even if we try, we might not see the results soon. Therefore, children, you should be careful to avoid doing actions that will block divine grace. Troubles become more pronounced in individual lives during the planetary transitions of Saturn, Rahu and Mars. Business failures, marital troubles, familial discord, accidents occurring while traveling to see an ailing father or relative, a son dying before he receives news that his father has died, being punished for mistakes one has not committed - such problems plague a person during planetary transitions. "If the actions performed today are pure, the future will be favorable." Amma has also endorsed certain quality laboratory grown crystals as explained in the newsletter. Certain Ayurvedic gems have a similar harmonic electro-magnetic radiation to the planets and hence can, as " electro-magnetic vitamin supplements," enhance our required dosage of this beneficial and essential electro-magnetic planetary stimuli. I use the words "vitamin supplements" to graphically assist the reader to understand that when a planet is supposedly taking an unfriendly interest in you, it is merely your inability to digest or receive the planet's pranic radiation. Your receptivity can be such that if it is placed in a negative transit, your chakras' interpretation and receptivity of its energy can be diluted or tainted. Hence the wearing of a gem will increase the available dosage of a similar radiation acting like a needed supplement to your electro-magnetic system. In order for the subtle rays to be absorbed, the gems must have very good skin contact. They also obviously have to be big enough to make a difference and clean enough to act as effective transmitters of the radiations that are naturally a part of their atomic matrix. It is easily apparent as one observes the development in the conventional medical sciences that the future of medicine is in the rays. Rays are any form of vibratory energy, from sound, color, radiation etc., and can be of a harmful type or greatly beneficial. Medicinal chemistry can only struggle to stimulate the life-force back into the ailing patient. Rays can go much deeper into the cell tissue and enhance the rejuvenating process. Gems are but one of the methods of dispensing subtle yet benign rays. Although the study of gems is many years ahead of the conventional learning curve, they will eventually be treated with respect when the hocus pocus side of the field is less prevalent. The body can be better understood as an electromagnetic system - that is, an intelligently coordinated network of oscillating, vibrating parts. A little discrimination may convince the reader that assisting their electromagnetic signature, or way of being, with the use of Ayurvedic gems or metals would be an intelligent and easy way of lessening the karmic weaknesses in receptivity. But, if you are already a great yogi practicing under a divinely inspired teacher and choose not to supplement his or her wisdom with these scientific laws, then this is equally commendable. 'It is only when a traveler has reached his goal that he is justified in discarding his maps. During the journey, he takes advantage of any convenient short cut. 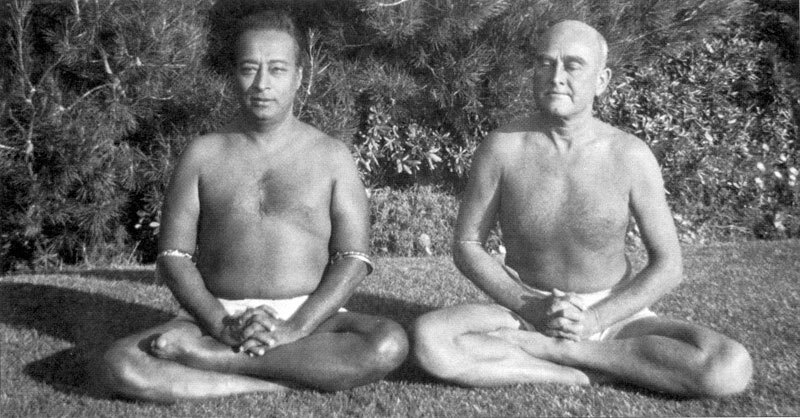 The ancient rishis discovered many ways to curtail the period of man's exile in delusion. There are certain mechanical features in the law of karma which can be skillfully adjusted by the fingers of wisdom." "The Kriya Yogi mentally directs his life energy to revolve, upward and downward, around the six spinal centers (medullary, cervical, dorsal, lumbar, sacral, and coccygeal plexuses), which correspond to the twelve astral signs of the zodiac, the symbolic Cosmic Man." In The Holy Science by the great avatar Swami Sri Yukteswar, he explains that an individual's spiritual and mental development is greatly enhanced or debilitated depending on the radiating influence of massive astrological constellation based cycles. Of particular note, he indicated that during the present cycle the influence is very weak in assisting humanity in our spiritual, material, and mental wellbeing. Anything a person can do to promote the planetary radiations acting on the electrical body is a wise course of action. But at this stage of human history, it is understandable that only a narrow audience is open to this ancient wisdom. As the great Master explained, humanity needs to regain its grasp of the concept of electricities and how they can be used benignly. All energy has a waveform or frequency, and it's these frequencies that Sri Yukteswar considered to have attributes. Astrologers often recommend an ayurvedic astrological gemstoneâ€‹s and pure metals â€‹when they see a weakness in an individual's chart. This karmic weakness needs a â€‹subtle electro-magnetic â€‹supplement to enhance a balance. However in the current age, any given individual can have such a â€‹wide â€‹spectrum of weaknesses that a full nine-gem bangleâ€‹ with certain pure noble metals â€‹ isâ€‹ considered â€‹ the most effective approach. The intense amount of energy required to grow a crystal invests its unique molecular lattice with a deliberate alignment of electrons. When these are cumulatively united, they're considered to have a radiating influence with the above described attributes.â€‹ For an extraordinary example of this, consider the original crystal radio. Faith in prayer and attunement to God or one of his messengers is of a much more superior path. Of course, some great saints have also recommended taking advantage of gem instruments to lessen one's distance from the goal. Hence, from a practical point of view both gems and truth can validly be shared hand in hand. As Swami Sri Yukteswar has suggested, plants, metals and gems can all play a role as instruments to minimize or nullify the adverse effects of our reactions to planetary radiations. Of the three, he extolled quality gems of over two carats as being the most effective. This, however, does not negate the excellent strengthening benefits of pure gold, silver and copper bangles. 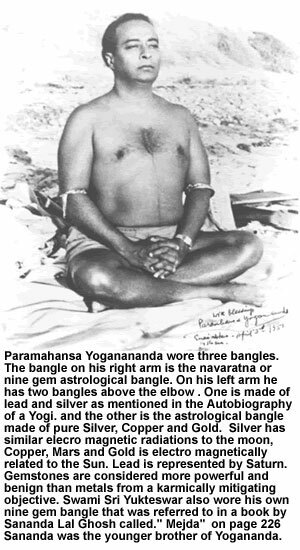 Of interest, Swami Sri Yukteswar and Paramahansa Yogananda both wore nine-gem bangles. According to astrological laws, to do away with bad influences of planets there is nothing better than a bangle. Every two bodies of the universe attract. When this adhesive power of the body cells becomes lax with the advance of old age, the planetary pull becomes stronger, causing more laxity of the cells, inviting disease and mental disturbance. The bangle and its combinations of metals as fixed by the Rishis, emanate electrical rays unseen by human eyes which counteract all planetary vibrations. Just as a lightening rod is affixed to a house to absorb the falling thunder and lightening, so the bangle is a lightning rod to absorb the ferocity of bad planetary rays falling on the body. When disease attacks the body, or accidents are attracted by bad karma, or business troubles occur due to a weak body or disturbed nerves hence disturbed mind, the bangle will lessen the force of a physical or mental attack of karma. 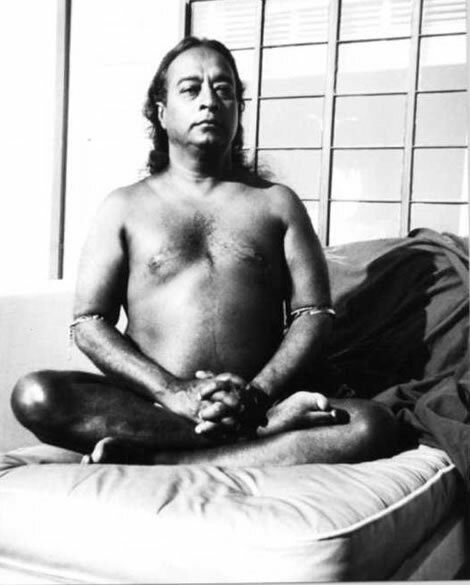 I would like to point out that out of the thousands of pages from Paramahansa Yogananda teachings, there is very little discussion of gems or metals for remedial use. 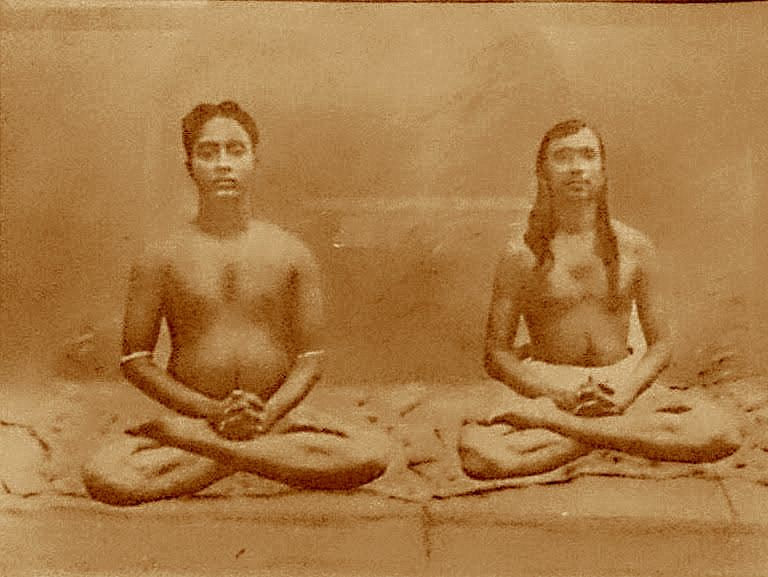 Though he felt astrological gemstones were significant enough to mention several times in his classic autobiography, he was wary of people becoming too distracted in this interesting phenomena and thus not pursuing earnestly his great contribution to the West, which was to encourage people to take a keen interest in correctly practicing Kriya Yoga meditation to obtain self-realization. At death our chakras, which are electrical by nature (and have acted like tape recorders absorbing the resonance of all our past actions and thoughts), will leave with the astral body awaiting to be delivered at conception a blueprint with which to direct the body cells' development. Years ago when I started studying remedial gems I discovered massive variations in interpretation as to what gems were supposed to do and how to use them. 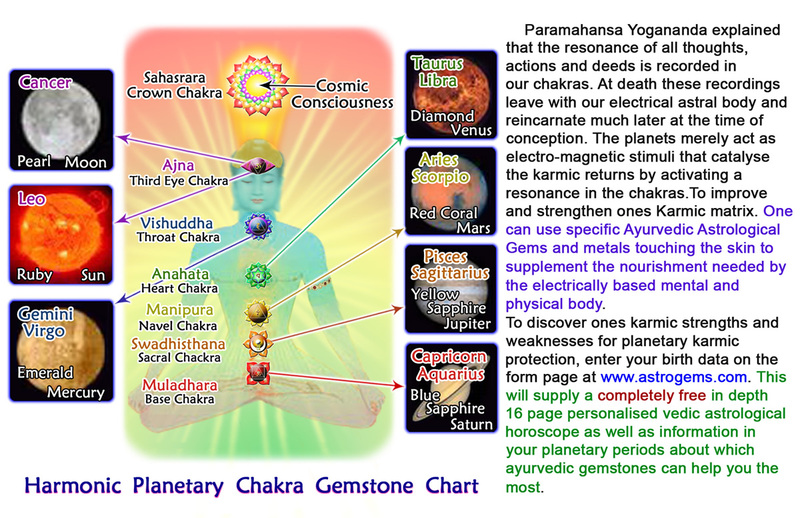 If the conception date is the actual birth time, then I am glad to have adopted the broad band remedial gem approach of promoting multi-gems bangles, as it will help cover any errors of interpretation in the horoscope and allow for the wide array of karmic cycles an individual will travel through in his/her life. A literal interpretation of this stanza is that, through fire oblations and chants, properly performed, one should invoke and pay honor to the astral deities, superior to man in the order of evolution, who through the divine laws of Nature carry on the cosmic functions. This man will create good karma that will free his life from the hazards of sudden fruition of effects from unseen evil causes set in motion by him in the past. As commonly calculated today, an astrological chart is drawn for a person according to the time and place of birth; even a slight inaccuracy in this data affects the accuracy of the chart. Further, one is actually "born" at the moment of conception, when the soul enters the first cell of its new body. One's karmic pattern has already begun to unfold in that instant. The intuition of wise men, such as my guru Sri Yukteswarji, who was masterful in astrology as the divine science it was intended to be, knows how to factor this "birth at conception" into calculating a horoscope. In any case, it is not the stars themselves that control the happening in man's life but rather his individual karma that, when ripe for fruition, is affected beneficially or adversely by the electromagnetic vibrations of the heavenly bodies. The reaction of the stars to the human body and mind is very subtle. The astral forces radiating to the earth from the heavens interact with those in the spinal centers that sustain man's body. Ignorant man does not realize how body and mind are changed though his good and bad actions, and how his actions affect- positively or negatively- the centers of the spine. Persons whose bodies and minds and material environment are out of order, the result of transgressions of spiritual law, have inharmony between the energies of the spinal centers and those radiating from the twelve signs of the zodiac. The true science of astrology, therefore, is mathematics of one's own actions, not the mathematics of the brainless stars. Karma governs the stars and one's destiny, but karma is governed by ones will power. What is to be does not necessarily have to be. Man's free will and divine determination can change the course of events in his life, or at least mitigate adverse aspects. One whose body and mind are very strong is impervious to adverse astrological influences: there may be no outwardly observable reaction at all, even when evil vibrations may be radiating from negative configuration of the stars. But if body and mind have been weakened by wrong eating, wrong thinking, bad character, and bad company, then the stellar rays have the power to activate latent harmful effects of past karma. On a cosmic scale, the combined karma of groups of individuals- social or racial groups, or nations, for example- or of the world at large, constitute the mass karma of the earth or portions thereof. This mass karma responds to the electromagnetic vibrations of the earth's cosmic neighbors according to the same laws that affect each individual, thereby inducing beneficial or malevolent changes in the course of world or natural events. A store of good mass karma from living in harmony with divine laws and forces blessed man's earthly environment with peace, health prosperity. Accumulated bad mass karma precipitates wars, diseases, poverty, devastating earthquakes, and other such calamities. During times of prevalent negative vibratory influences, the individual must thus contend not only with his personal karma, but also with the mass karma affecting the planet on which he lives. Horoscopes tend to influence and paralyze the free choice of man's inherent divine -will-to-conquer. Further, intuition is needed to read correctly the messages of the heavens and to interpret their significance in relation to one's individual karma. For guidance and support it is far better to appeal to God and His angelic agents. Why look to the mute stars? From them man can receive neither sympathetic response to his plight, nor personal succor in the form of divine grace. When one is following God's path, to give too much thought to such lesser sciences as astrology is a hindrance. The highest way to create the right influences in one's life, the yogi's way is to commune with God. All stars bow down before the presence of God. By meditation the yogi reinforced the positive spiritual power in the cerebrospinal centers that are acted upon by the planetary influences. 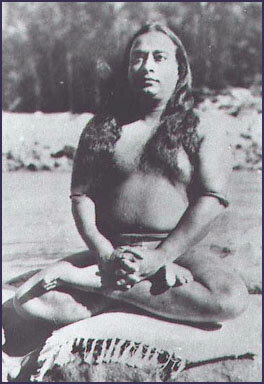 In this way, the yogi harmonizes body and mind with the universal laws and God's divine cosmic agents who govern them." As of this writing, the organization which I have found to have the most reasonably priced and purest service in this field of karmic mitigation through the use of mantric pujas is one founded by the great woman saint Amritananda Mayi (Ammachi). Puja application details can be found on her website. "Every stone has fire and humidity in it. But the devil shies away from them and hates and despises the precious stones, because he remembers that their beauty appeared in him before he fell from the honor given to him by God and also because certain precious stones are created by fire, in which he has his punishment. Because, by the will of God, he has been defeated by fire and fell into fire, in the same way as he is defeated by the fire of the Holy Ghost when a man is pulled away from his jaws by the first receiving of the Holy Ghost." And from the Fourth Book of Physica, chapter 4-17 "Of the Diamond," last sentence: "The devil is an enemy of this little stone because it resists his power. Therefore he is repelled by it day and night." 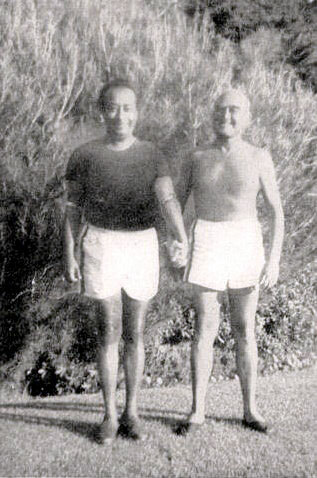 Based on dated and signed photographs of Yogananda, it is apparent that the "certain kind of bangle" he was advised to wear was the nine-gem bangle. There are no photographs of him wearing this nine-gem bangle before his return visit to India. The Sanskrit name for this type of planetary gem bangle is navaratna. "Nava" means nine and "ratna" translates as gemstone. For three decades Astrogems has specialized in making personalized navaratna bangles very similar to the one Sri Yukteswar recommended to Yogananda. All the gemstones have to be high quality, over two carats, and must be mounted to ensure maximum skin contact. It's a science we have pursued full time since 1982. The following passage is from page 382 of “The Divine Romance” published by Self- Realization Fellowship in the chapter titled “Personal and Impersonal God”. Before his passing, my great guru, Swami Sri Yukteswar, told me to wear a certain kind of bangle as a special protection. With faith in his blessing in the bangle, I put it on. When I was in Bombay just before returning to America, I realized that the satanic power was trying to destroy my life, to prevent me from fulfilling the mission given to me by God and my guru. I wasn’t afraid; I knew God was with me and I remembered Master’s promise of protection. I put a little light on in my room, because the evil forces do not like light. For a little while I sat meditating, watchful of my spirit. And then I felt sleepy. As I opened my eyes and looked toward the right wall of the room, I saw the black form of Satan, horrible, with a catlike face and tail. It leaped on my chest, and my heart stopped beating. Mentally I said: “I am not afraid of you. I am Spirit.” But still my heart wouldn’t work. Suddenly I glimpsed an ochre robe, and there stood Master. He commanded Satan to leave; and as soon as he spoke, the evil figure vanished and my breath started to flow again. I cried out: “My Master!” He said: “Satan was trying to destroy you, But fear not. I am with you evermore.”I could even smell the familiar, gentle fragrance that emanated from Master’s form, just as when he was incarnate on earth. 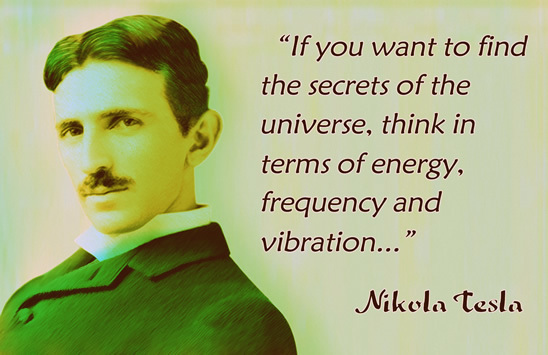 Such experiences convince you that the forces of good and evil do exist, just as radio vibrations are present in space, If you dig into the ether with a radio receiver, immediately you can hear songs that have been broadcast from another point in space. Likewise the saints, by tuning in their minds to God, have drawn Him from the silence of space. He and His saints are right here, hidden behind the ether. Tuning in with Them is not simple, but unless you learn to do this, how are you going to convince yourself that God is ? 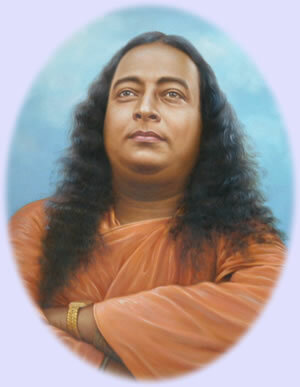 On page 226 of "Mejda" a book by Yogananda's brother Sananda Lal Ghosh. He refers to these dark forces coming forward when Mr Wright who had been asked to guard the deceased body of Swami Sri Yukteswar inadvertently allowed a thief to steal the Navaratna from Sri Yukteswar's arm..
"Mr Wright apparently had to leave the room for a brief time. 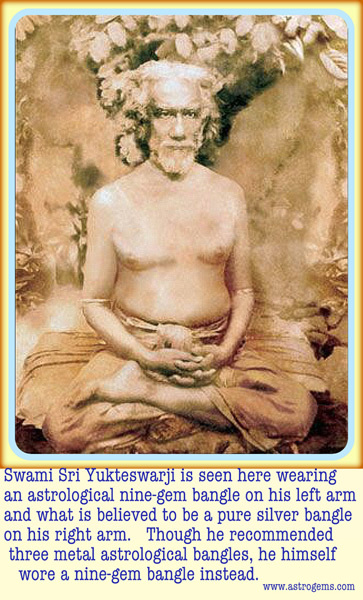 When we returned , we saw that someone had removed the Navaratna ( a nine-jeweled bangle) from Sri Yukteswarji's arm. Mejda scolded his young disciple severely for the momentary lapse in his vigil. " "But as God reestablished a better relationship with Adam, He did not allow the rays and forces of the precious stones to perish because He wanted that they would be valued and praised on earth and would be used as a healing remedy." 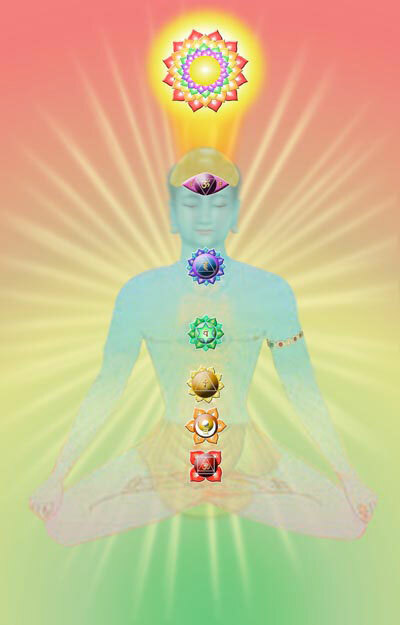 According to Vedic astrology, a science founded by ancient Rishis who investigated the truths as to how man is subject to universal stimulis, during the different yugas man's ability to receive sufficient cosmic energy (prana) via the planetary and stellar radiations is controlled by the amount and balance being projected during that particular yuga. One analogy of the way the needed planetary recipe descends upon the earth is to compare the individual planetary rays to the different colors of a rainbow. During the Satya Yuga (golden age), when man's spiritual, mental and physical health should reach its height, it is greatly helped by the fact that the colors are of a rich, strong tone. Whereas, in Kali Yuga (Dark Age), the same rainbow will be much less vibrant and more of a weak pastel nature. During such a cosmic deficiency, fruit will take longer to ripen, plants and animals will grow more slowly, healing will take much longer and misunderstanding and misery will be much more prevalent. During the Kali Yuga, truth in its many forms will also be ignored and if it is disguised with any subtlety, will be uncomprehended. 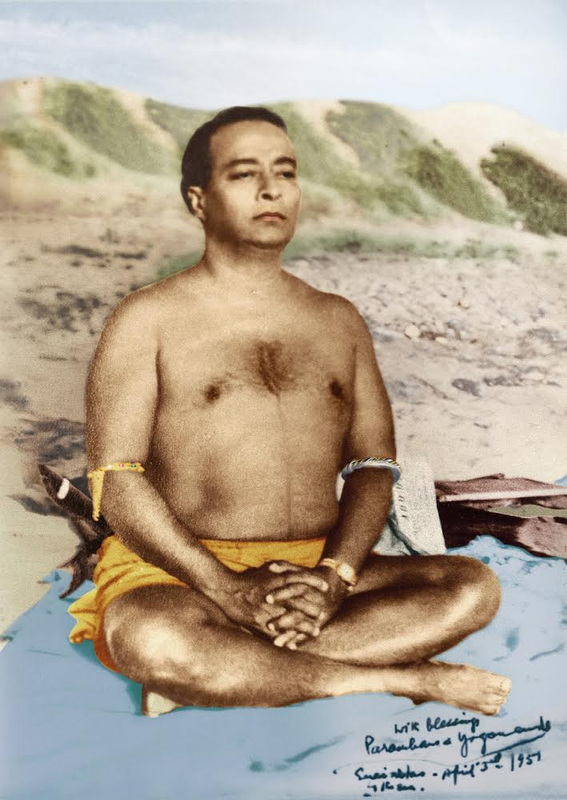 At the beginning of every yuga there is a sandhi (mutation period of adjustment) while man sheds the previous yuga's ways of thinking and institutions. Swami Sri Yukteswar wrote that in the Dwapara Yuga the human intellect will be able to comprehend the fine matters, or electricity's and their attributes, which are the creating principles of the external world. Hence, from the point of timing, it is easy to see why a service specializing in the karmically mitigating electro-magnetic radiation of gem bangles has not been able to gain a foothold in the West earlier in this yuga. In the recent Kali Yuga, because of the weak cosmic radiation having been received by the Earth, the astro-physical influence strongly affected man's lifespan. 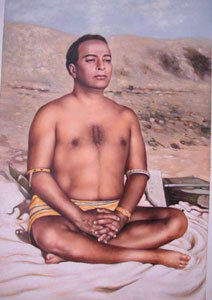 It was much shorter and his mental virtues (intelligence and pursuit of dharma) were also only one-quarter developed. Now in the present Dwapara Yuga, man's mental virtue will double and become half complete. His life-span and health will also afford the opportunity to improve dramatically. 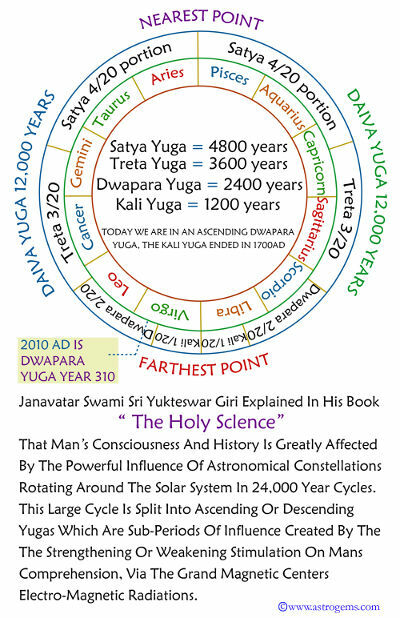 According to Sri Yukteswars placement of the yugas in his book The Holy Science, he explains clearly that we have been in Dwapara Yuga for 302 years (2002). Hence, as one can see from the great changes in society over the last 200 years, a very obvious transition in man's consciousness is developing. Naturally the likely impact of any astrological influence can be changed by man, gems and metals being only two of the methods. The best of all procedures is the use of correctly guided will power. However if, as in Vedic philosophy, intelligence is measured by the attainment of permanent bliss, history shows these great souls to be a rarity. And thus the Vedas suggest many practical aids to reach this goal. An often overlooked fact is that because gems are able to provide a somewhat significant change in a person's physical and mental vibration, that person's resolve to tread down their correctly guided path can be greatly enhanced. It is essential that the jewelry has the correct faultless untreated gems that above all are seated well against the skin for maximum effect of electromagnetic transfer. So many so-called astrological jewelry pieces have gems barely touching the skin at best! 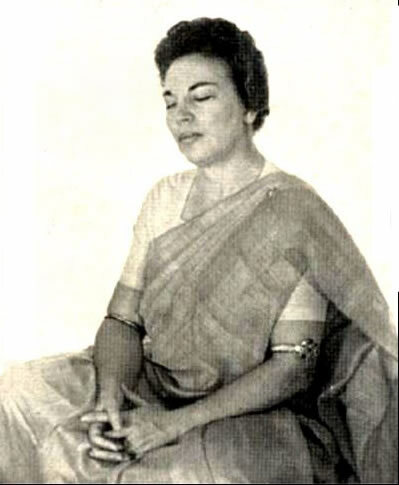 Sri Daya Mata, the recent President and Sangamata of Self-Realization Fellowship / Yogoda Satsanga Society of India, wearing her constellation design astrological nine-gem planetary bangle on her upper left arm. 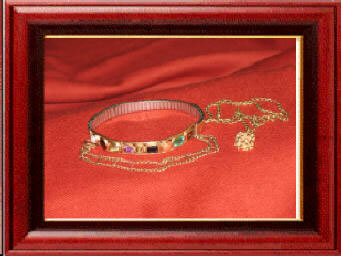 A photo of the Nine Gem Bangle worn by Dr. Minott W. Lewis, first Vice President of Self-Realization Fellowship. In ancient India, the rishis considered the nine-gem bangle (navaratna) to be the most effective "crown" of vibratory crystal talismans for greatly strengthening one's aura and thwarting negative circumstances. Your astrological chart is a reflection of your electromagnetic pattern and this horoscope will provide a customized formula for which gems can counteract your weakened receptivity to the beneficial essential planetary radiations. 1. You can MINIMIZE the effect of an action. 2. You can RESIST the effect. "...Why do people go to doctors? Because that is one way to MINIMIZE the effects of wrong actions. The physical way to lessen an illness or overcome it may be found in such remedies as proper diet, exercise, or medication..."
A good Vedic astrologer will be most interested in giving information that can help counteract negative situations in your life and strengthen the magnetism for beneficial karmic returns as well. We hired a brilliant Vedic astrologer to build an extensive computer program using his years of observing how these navaratna gem amulets have created a positive shift in people's lives. The result is a highly accurate astrological reading and gem analysis, more accurate than a normal astrologer could do in a reasonable amount of time, because it's able to take into account a far greater amount of planetary combinations (yogas). Simply fill out the form on this website to receive by email a free basic horoscope and comprehensive gem prescription created using the above mentioned program. The prescription will list which gems are the most helpful for you to wear down to the gems that are not as important along with the relevance of the areas of your life that they will influence. While it is a great privilege to seek the counsel of saints, often their written words are taken out of context by those with their own subjective interests. We at Astrogems do not claim to have the similar divine understanding of the great ones. Our views or interpretation may not necessarily be in agreement with the saints we refer to. Astrogems believes instruments of high quality electro-magnetic gem radiations are a benign and passive way to assist in spiritualizing our consciousness. We are in no way implying that gems should be used to replace the much more important effort of self-discipline under the guidance of a God-realized Master.